The Beauty of The Indian Ethnic Wear That You Should Know! We all know that both men and women look beautiful in ethnic wear. Besides, though people love to wear western clothes the demand for ethnic wear did not go down. Moreover, wearing ethnic clothes shows some respect towards our Indian culture. We should always dress up properly while going to parties or any events or if we have any family functions. In fact, wearing the same routine clothes can make us feel bored. It might be quite surprising to hear this but these men are more interested in ethnic wear when compared to women. Be it a wedding function or a puja, men prefer to wear ethnic clothes. You will also be more comfortable in ethnic wear when compared to the western wear. Moreover, there are a lot of people who think that they will not find a lot of variety in ethnic wear but this is not really true. There are several stores both online and offline which offer a huge variety of ethnic wear that caters to men, women and also kids. In fact, you will be surprised to browse through the amazing collection on online stores. Hyderabadi Kurta Pajama: This attire looks fabulous on men who have good height. The outfit would be your perfect choice when you want to attend special occasions like wedding etc. Lucknowi Kurta: This is usually made of very light weight clothes, and they have Chikan embroidery on them which makes them look very beautiful. This type of kurtas is usually expensive when compared to others. 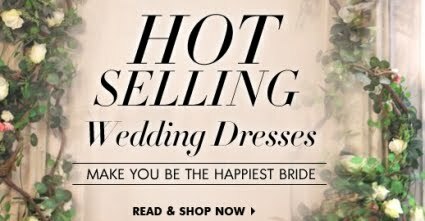 However, they would be your perfect choice on your wedding day. They really look very rich and especially the maroon and blue colored ones. Punjabi Kurtas: This type of kurtas can be worn while going for a walk with your friends or family members in the evening. Dogri Kurta: These kurtas are very popular in North India and you can wear them on churidhars or partials. Do not forget to try this outfit, if you are planning to attend any family function. Sherwani Kurta: Sherwani kurta is primarily designed for parties and weddings. Besides, they come in different colours and styles. Find a good Sherwani kurta online and place order to look outstanding on your wedding day. No doubt that none of the other types of kurtas can beat the beauty of this Indian kurta. Kalidar Kurta: These generally resemble a frock and they are available in different materials like silk, cotton, linen etc. You can choose this kurta for your haldi function or sangeet. Pathani Kurta: These kurtas suit people with any body type and they are usually chosen by North Indians. If you are planning to buy this type of kurta then do choose some lovely colours like gray, blue and mustard. You will definitely look outstanding in this outfit. A lot people don’t know the kind of sandals they have to choose when they wear kurtas. Regular sandals or shoes will not go well with an Indian kurta. Hence, you should make sure that you choose the right type of sandals to look perfect when you wear some ethnic clothes. You could try Kolhapuris or Mojaris with these kurtas to look more stylish and perfect. You can also try Nehru jackets as well if you want to look unique. Wearing goggles with an Indian kurta can actually make you look fabulous. This combination especially looks good if you are planning for any pre-wedding or post-wedding photo shoot. Sherwani scarves are also available online now at an affordable price. You could also try them if you want to look trendy and stylish. Wearing beaded bracelets can make you look more handsome. Which type of kurtas suits me? Short Kurtas: You could prefer these short kurtas if you are looking for formal look. You can pair them with jeans and they really look outstanding on taller men. However, make sure that you buy your clothes only when you feel that you can stay comfortable wearing them. Long Kurtas: These long kurtas suit both short and tall men. If you have a fair skin tone then you could choose some dark colours like blue, maroon, red, yellow etc. Men with dusky skin tone can choose colours like sky blue, white etc. Long kurtas are usually meant for special occasions. Be it your friend’s engagement or wedding or a birthday party try the latest collections available online. If your workplace does not have strict dress code then you can mix n match ethnic and western wear to look trendy. For example, a short kurta will look good with jeans or you can pair jodhpurs or harem pants with T-shirt. Casual footwear such as boat shoes, espadrilles and sandals will go well with such ethnic and western fusion wear. Also, depending on whether the occasion is at night, in the evening or during day time, you need to choose the colors of the outfit. Pastel or lighter shade kurtas with no design or very little design will suit events held during daytime while dark shades with detailed designs are just perfect for the evenings. Where shall I buy kurtas? Our life has become very easy with the latest advancements made in technology. In fact, people need not visit any local stores to buy their favourite clothes or jewelry or food any more. 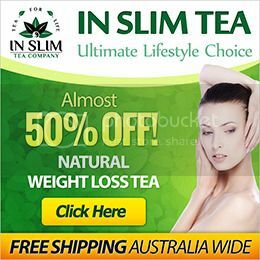 Everything is available with just a matter a few clicks with online shopping. All you need to have is proper internet connection to do your shopping. Shopping for clothes from your local stores when you are busy with your wedding arrangements can be really difficult for you due to busy work schedule. Moreover, there is also no guarantee that you will find your favourite clothes from your local stores. A great option to find your favourite clothes while sitting in the comfort of your home is online shopping. The best part of shopping on online stores is that you can avail huge discounts as well. How to find the best quality outfits? There are a lot of stores online that offering outfits for men at a very low price. If you think that all those offers you find online are genuine then you are totally wrong. Remember that, not all the offers you find online are genuine. Moreover, online scams also have increased a lot in the present days. Hence, you have to be more careful while shopping online. As few sellers online may offer cheap quality clothes, you should make sure to check the quality of clothes before buying them. However, as you cannot personally check the quality of the clothes while shopping online, you can take the help of customer reviews online to find the best outfits for special occasions. One great benefit of online shopping is that you can return the clothes if you don’t like them. Hence, you need not worry about anything while placing your order online. Remember that, you should keep your wedding outfits ready at least 10 to 15 days prior to your wedding date to avoid unnecessary problems at the end moment. There may be a slight variance in the size of the outfits when you order them online. Besides, getting the fitting done is truly a difficult task. Hence, in order to avoid all such problems, it is better to keep your things ready. As you will have thousands of options online, it can be quite confusing for you while choosing your wedding outfits. The best thing that you can do is to choose outfits which matches your bride’s attire. Moreover, you have to choose the outfit that compliments your skin tone. There is nothing that you cannot find on online stores now. If you want to buy clothes for your entire family then it would be a great idea to go for online shopping, which will not only save your money but time as well. Fast Delivery: Most of the online stores deliver your products within no time. Hence, you need not worry about the delivery at all while placing your order online. Door Step Delivery: Shopping online will help you get your favourite items to your door steps. Hence, you need not visit different clothing stores or malls in your location to find your favourite outfit. Huge Discounts: You will find huge discounts online and this is the reason why most of the people these days are buying clothes online. 24/7 services: You can do online shopping at any time according to your comfort. In fact, you need not break your schedule to visit your local stores as most of the local clothing stores in India will be closed during night. Great Comfort: You can buy all your favourite items sitting at your office or your home or while travelling. More Options: We can find a great number of options online unlike the local clothing stores. Besides, this is the reason why most of people usually prefer to do online shopping. Some of the popular kurta fabrics include dupion art silk, art dupion, art silk, jacquard, cotton, banarasi silk, cotton linen, brocade, giccha silk, taffeta and etc. All you have to do is choose your favourite kurta according to your choice. When we speak about women ethnic wear the first thing that comes into our mind is sarees. Besides, a woman looks really beautiful in a saree. However, lehengas also have become very popular these days. Most of the women now choose lehengas for their wedding as they look traditional as well as stylish. The designer salwar suits online are something that you cannot miss out trying. A woman should always choose a saree according to the occasion or event that they are planning to attend. For example, cotton sarees would be your perfect choice, if you are planning to attend any official office meetings. You can choose designer sarees, if you are planning to attend any wedding or a family function. You can try silk sarees while going out with your friends or while attending get together parties. You should get your blouse designed in a proper way if you want to look perfect in your favourite saree. There are lots of sites online which provide details about the latest blouse designs. Hence, you could check such sites and get your blouse designed to look outstanding. The neck design of your blouse especially plays a very important role. You have to always choose your blouse neck design according to your body type. Here are some famous blouse neck designs that are quite popular. Choose your favourite blouse neck design to turn your looks more attractive! Some of the famous saree fabrics include silk, chiffon, satin, silk, georgette and brasso. If you are looking for light weight sarees then georgette would be your perfect choice. Cotton sarees would be an ideal option for you to wear during summer season. Lehengas are a great option for women to turn their looks extremely beautiful. You can try the designer net lehengas or georgette lehengas to look pretty in your mehendi function or haldi function. These lehengas are also available in some other materials like tapeta silk, velvet and etc. Not only adults’ even kids love to wear ethnic outfits. In fact, you can find some pretty lehengas, sherwanis, kurta pajamas for kids as well. It is not only Indians who love to wear ethnic outfits but also people living in different parts of the world love these outfits. Choose your favourite outfit right away to look stunning!